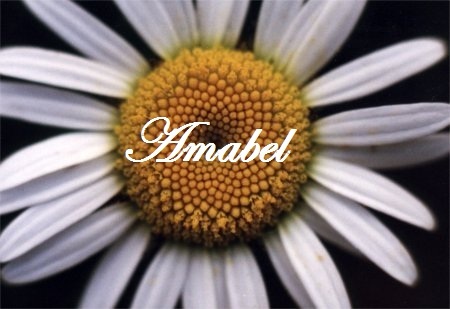 Today’s name of the day is Amabel, I really like the name Annabel so I thought I’d pick something a bit less common but similar. Enjoy! This name is the medieval feminine form of Amabilis which is Late Roman and means “Lovable” in Late Latin.